Have done little here for ages except tweaks to the bibliography because I have been engulfed in prep for my PhD upgrade. As a part time researcher on MARes. status I’ve been on probation for PhD and this goes through a submission of work and a viva interview to get upgraded. Much diary fuss to get three professors and me together: my two supervisors and an external prof. to check we’re not on the fiddle. I dreaded my PhD upgrade meeting! I’d not had to face an interview or exam in many many years and I resented being judged, and feared the raw inferiority of my position. I feared most of all I would receive “advice” to do things that interfered with MY WORK. Advice focused on focus. Liz McAvoy advised me to top and tail my chapters with ‘This chapter will do X’ and ‘This chap has done X.’ Super stuff – bang on practical – and focused advice! I came away buzzing with stimulation. My poor family having been promised I would return to the real world after 3 months away in Rhiannon’s world, suffered a further week of absorption as I reorganised the Contents, rewrote my synopsis, and drafted a new chapter of 4,000 words. All of which I was quite pleased with. Oh yes … I passed. So I won another four years of slog. Hurray! A superb film one of the best I’ve seen in a long time. It’s excellent as fantasy fun and also as a serious subtext – which no reviewer and only one comment so far seems to have noticed. Colin Firth is Colin Firth, perfect. Action is fast paced well choreographed – style is pure swizz – special effects used well but not over used (get the fireworks scene yay!) – sexism not so good but at least only one lump of flesh, in this genre it’s not as bad as usual – tech/ internet stuff is nicely presented – it works as a good spy movie AND as a parody – fast and furious with some actual human relationship in there. Optional serious track shows the 1% elite and their attitude to US the 99%. We are clutter and should be cleaned up to make way for a brave new future. The method to make us turn on each other is chillingly real – that is what is happening now today. The pilot project in a fundie church is spiky clever on the values at the core. Notice how cooperation and kindness gets a look in, though not fully developed. As some comments have said the housing estate portrait and the makeover trope is dubious. It says a prole can only make it if a privileged master yanks him up even if he does succeed through his own efforts. Hope this becomes a series – it has three good characters to build with and a good plot container with the Kingsman idea. Develop the girl next time. Finally – we came away feeling happy and thoughtful. Can’t ask for more than that and few films manage it. It is difficult to find the right way to write down what a heavenly gift Christine is to me. It is indicative that I normally have no trouble beginning to write anything. I might chop out a start passage completely later, or revise it a lot. But that doesn’t mean I can’t get going. Unusually, to say how beautifully, how superbly this person partners me in my work, has meant a whole series of false starts. So not like me. Do I tell how we met? How a kind mediator put us in contact – and how that first mention of Christine by someone else was a joy in itself? It said Christine would be very interested in discussing my project and invited me to contact her. Gentle words which could have been a mere formality, but somehow conveyed a genuine respect. The care in that, the additional effort, and then the respect for my own carefulness, is remarkable, and characteristic of the whole liaison. I was scared to death of her at first! This is not only my personal academic supervisor who holds in her hands the power to make or break this crucial area of my life which quite simply means my core happiness, or severe deprivation; this is Christine James, the Archdruid of Wales. So she is at the pinnacle of an elite hierarchy of power I only dimly understand, for I am not a native of Wales; though I have lived here on and off for 25 years and nowadays Wales is without doubt my permanent home. 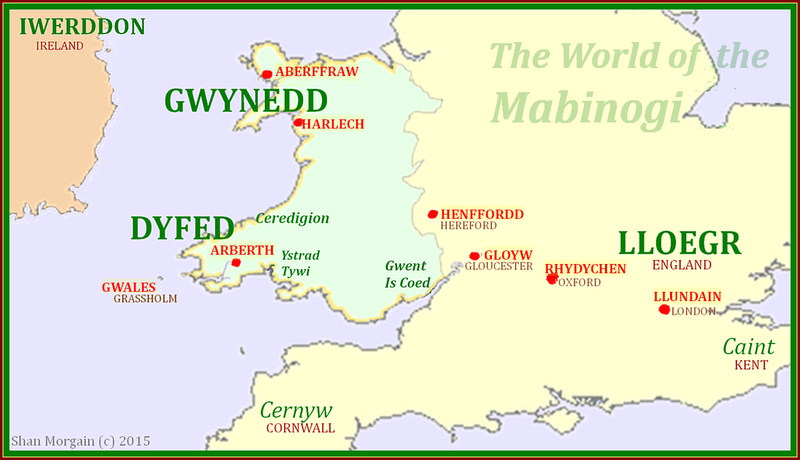 There is no equivalent to the druids of Wales in the country of my birth and early life. Christine heads the largest arts festival in Europe, and an inner network where the Welsh talk to the Welsh, which twines through government, arts and culture esoterically, a world of its own. Since my beloved work sits in that culture, since I am an outsider who dares to examine one of its cherished traditions, I am very aware of her status, although I cannot ever really comprehend it. So she was awesome to me, before I ever spoke with her. Yet she is not awesome, at least in another way she is not. The woman I met was friendly, down to earth, practical, oh so refreshingly practical. Faultlessly polite yet never condescending in the slightest degree, this grand lady did all that could be done to put me at my ease. It was possible to meet her human to human, and deal with the job in hand, just that. Then again, she is still awesome for I find myself sheltered by the guardianship of a sure hand which balances strength and gentleness in a lovely synergy. I am guided through bureaucracy, given contacts, reassured, and in all ways mentored. Nothing is too much trouble to help me, from opening up the mighty gateways of academia to fetching me water to drink when I arrived tired off the road. I am accustomed to being the patron, the mistress and guide to others, and it is a marvellous reversal to be able to be less powerful, for once. It is ryuedawt that it is safe to let go of being fully in charge. Here is another excellence, for it is not at all easy to mentor and guide someone who is powerful and skilled in their own right, not a novice. It is far easier to take on a junior who knows little, and shepherd them through predictable paths of support. For Christine I was an unknown and patchy map, sometimes expert, and suddenly, disconcertingly for both of us, sorely ignorant. She navigates my mountainous geography with grace and care, and the odd kindly chuckle. There are rebukes, criticisms, challenges. So there should be, and I rise on my mettle to meet them, to grow from them like sharper medicine. Never once do I feel put down, diminished. I can assess what she offers me and absorb it (just occasionally decline it) with my dignity intact. It is deeply reassuring to be so recognised, to stand in a clear gaze. She misses nothing so already I have progressed a long way. There is that important and all too rare ability she has, to say ‘I don’t know the answer to that,’ or ‘This is not an area I know well.’ Any student quickly finds that many academics are obsessed with being top dog, even to the point where it is so grossly obvious they don’t know whereof they speak so they look like utter nincompoops. There is no hint of that with Christine; instead a grave consideration, reflection, and the calm conclusion that something is not yet acquired. Only the very best can do that. Then finally there is the joy. I bring her passion, and built up hard work, vibrating with it, and she welcomes it all with great, shining smiles. I spread out my treasures and she laughs, frowns, sharply queries me, ponders, and we dance together in an art form which she exercises with exquisite and ruthless perfection. This is for a certain kind of person, a fierce and wonderful mystery, a place where minds meet across centuries. To sit face to face with a truly fine mind is treasure indeed. It is only now as the year’s wheel is coming to full circle that I can let go of so much built up distrust from many inferior comparisons, to be able to say, yes, this is real and true. For it has seemed too good to be true, it is so good. Now I can write the closing words in my praise song: thank you Christine.